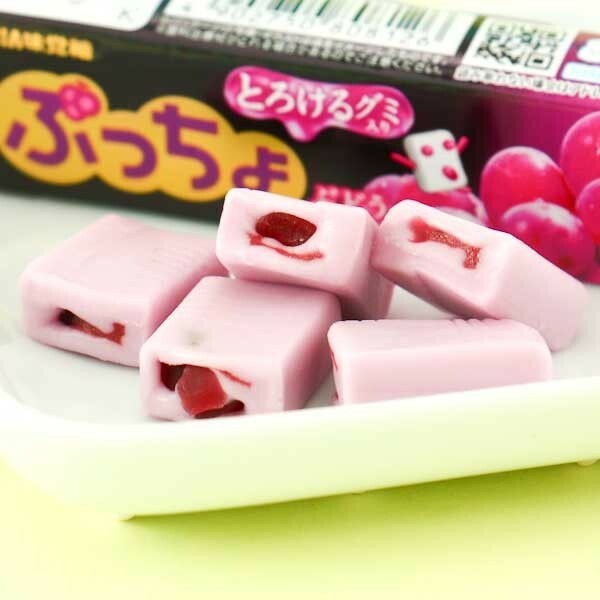 The secret to a success of Puccho is that each of these soft and milky candy pieces is embedded with chewy fruit gummy bits. You can enjoy milky and chewy candy and fruity gummy bits simultaneously. Like eating rainbows! 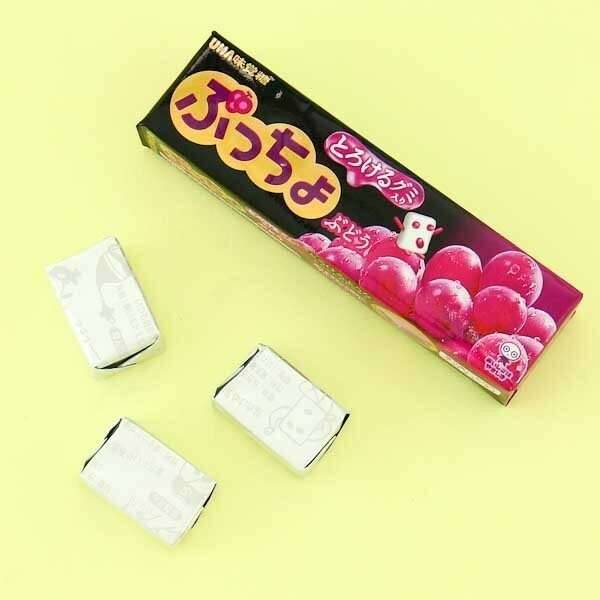 Grape flavored Puccho candies include a delicious fresh chewy grape center with real fruit juice. The funny Puccho character is adventuring on each wrapping paper and you never guess what is the next adventure about. Try them all!